(TibetanReview.net, Sep09, 2016) – The Jul 17 avalanche in remote western Tibet’s Rutog County, Ngari (Chinese: Ali) Prefecture, which killed nine herders of Dungru Village along with 350 sheep and 110 yaks was an example of a rare glacial surge very likely triggered by climate change, reported ecowatch.com Sep 7, citing researchers. The report said the avalanche was made up of 130 million cubic yards of ice and rock which suddenly had let go from a glacier in Tibet, hurtling down three-fifth of a mile. The report said that scientists who were baffled at that time now think, after examining satellite images before and after the event, that it was an example of a rare glacial surge, when a glacier moves at 10 to 100 times its normal speed. The report said that whereas most avalanches occur on slopes of 25 to 45 degrees, the Rutog avalanche started from a flat area some 17,000 to 20,000 feet above sea level. And when it came to rest, the ice and rock mass covered an area of nearly 3.8 square miles to a depth of almost 100 feet. It added that the only other event of comparable size was the 2002 collapse of the Kolka Glacier in the Caucasus, Russia, which had killed 140 people. The report said an entire tongue of the Rutog glacier in Northwest Tibet collapsed at once, coming down with such force that it widened the gully it came to rest in. 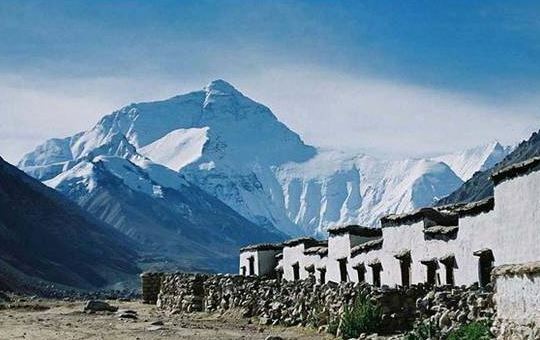 It added that many surge-type glaciers, caused by meltwater at the base of the glacier, were found in Western Tibet. What is more, in the days after the Rutog avalanche, cracks had occurred in nearby glaciers, the report noted. And the danger continues to rise, given that temperatures in the Tibetan plateau have risen 0.4 degrees Celsius per decade, twice the global average. One-tenth of the permafrost had melted in just the past decade. And the rapid melting glaciers had added to the number of lakes by 14 percent since 1970 and 80 percent of existing lakes had grown, flooding towns and pastures. Besides, precipitation in the area had increased 12 percent since 1960, the report added. It added that the Himalayas and Tibetan Plateau held the largest mass of ice on Earth after the polar regions. And the loss of these glaciers threatened the water supply for one billion people in China, India and Tibet, Nepal, Bhutan and Southeast Asia.